After a successful fundraising campaign on CitizenInvestor in spring of 2013, and a one year wait for wetter (better) growing conditions for San Mateo Thornmint (Acanthomintha obovata ssp. 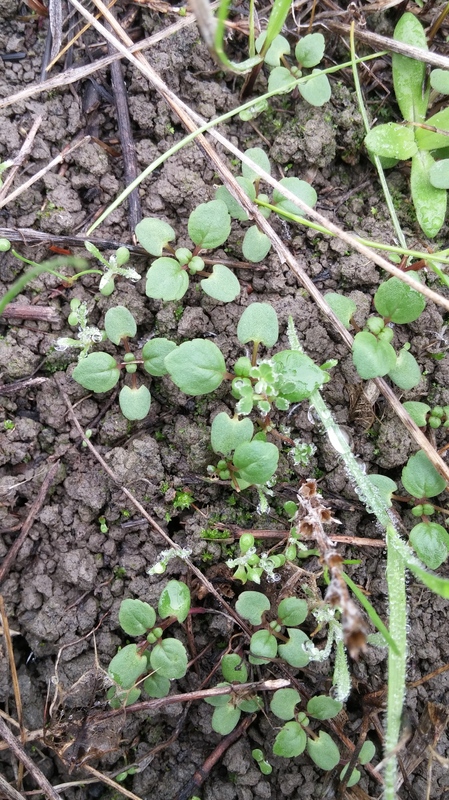 duttonii), a partnership of groups including County of San Mateo Parks, Friends of Edgewood and Creekside Science carefully seeded around the existing thornmint population in order to expand the limited distribution of this plant. Creekside Science, the U.S. 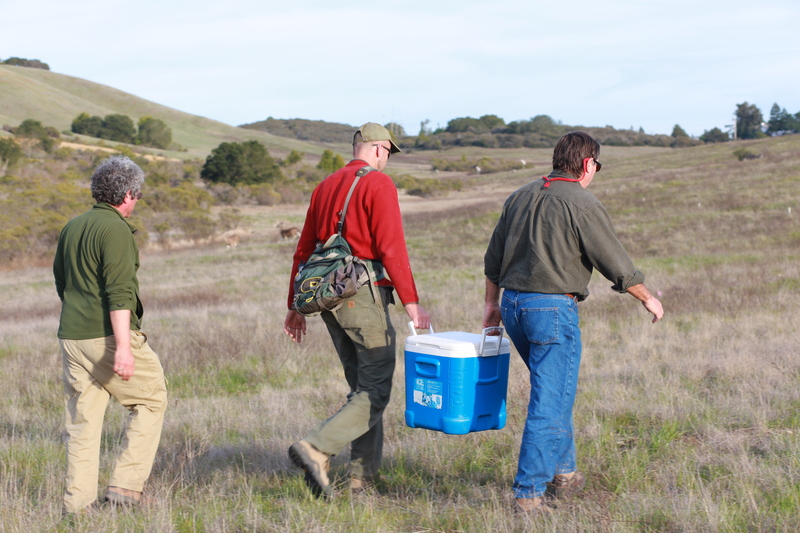 Fish and Wildlife Service, and San Francisco Water, Sewer, and Power partnered with the U.C. 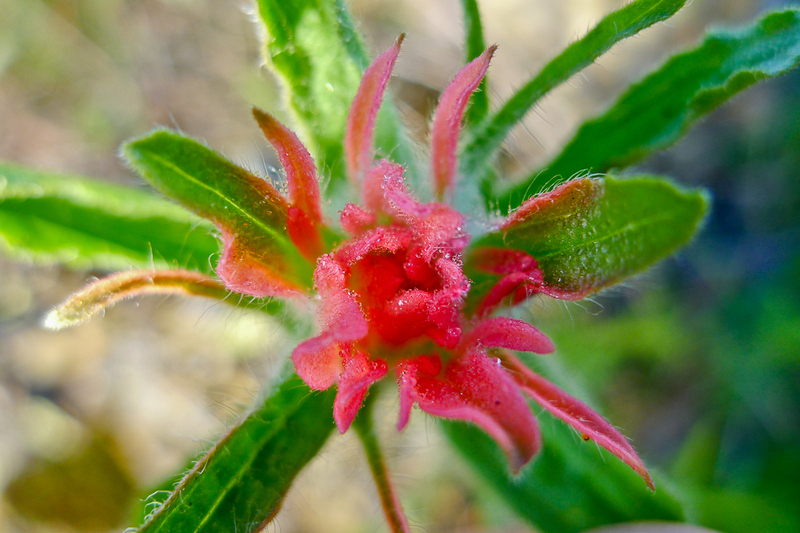 Berkeley Botanical Garden to produce a seed increase using leftover seeds from a decades-old experiment. In total, 7,500 seeds were dispersed on site and early observations in late December indicate that some germination is already occurring in the newly seeded areas! 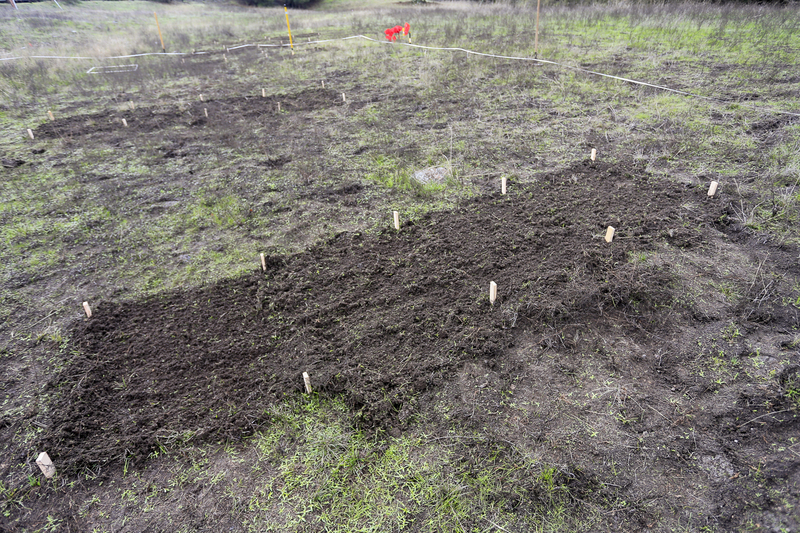 The planting plots were mapped and then prepared by scraping the top 1-2 inches of material to the side creating bare ground. This post-germination scraping technique decreases annual grass cover (for that year) and increases the amount of bare ground, which increases germination (and likely survivorship and seed production also). This treatment increased thornmint numbers and vigor in our previous in-situ experiments. Packets of 250 seeds (prepared by the U.C. Berkeley Botanical Garden) were spread as evenly as possible into 30 square-meter plots, then tamped gently into the soil to enhance soil to seed contact. The new plots were placed uphill of and adjacent to the existing population, in areas where mowing and dethatching had created the open habitat that favors thornmint. Two of the plots were placed in a historical location where thornmint has not been observed for many years. Thank you everyone for contributing to make this a successful project. Creekside Science will continue to monitor germination and maturation of this unique restoration effort. For more photos and information from the Friends of Edgewood, please read here. 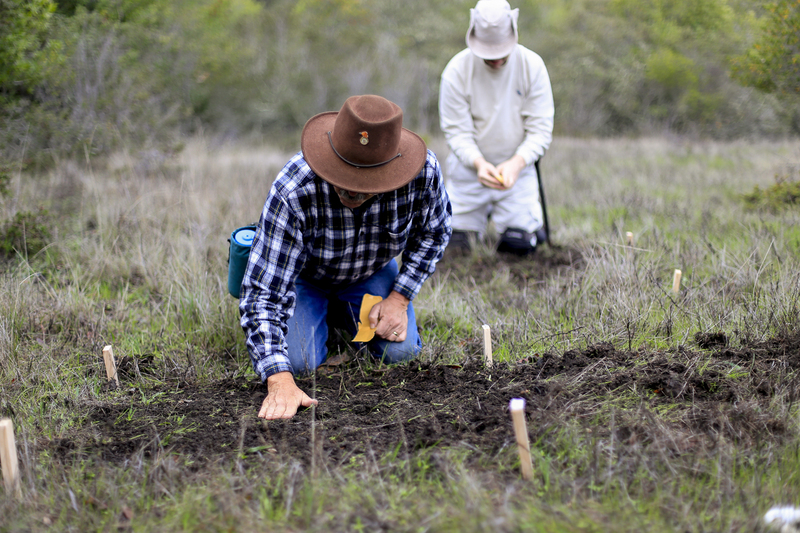 Creekside staffer Lech Naumovich teamed with the East Bay Regional Park District and the California Native Plant Society of the East Bay in order to bring together a workshop on rare plant seed collection methods. 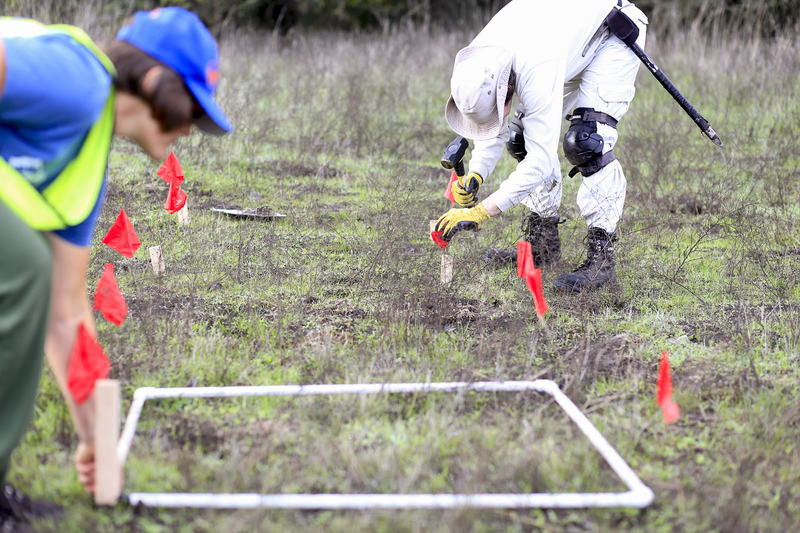 Our project took place in Redwood Regional Park, on a restored serpentine area known as the Serpentine Prairie. 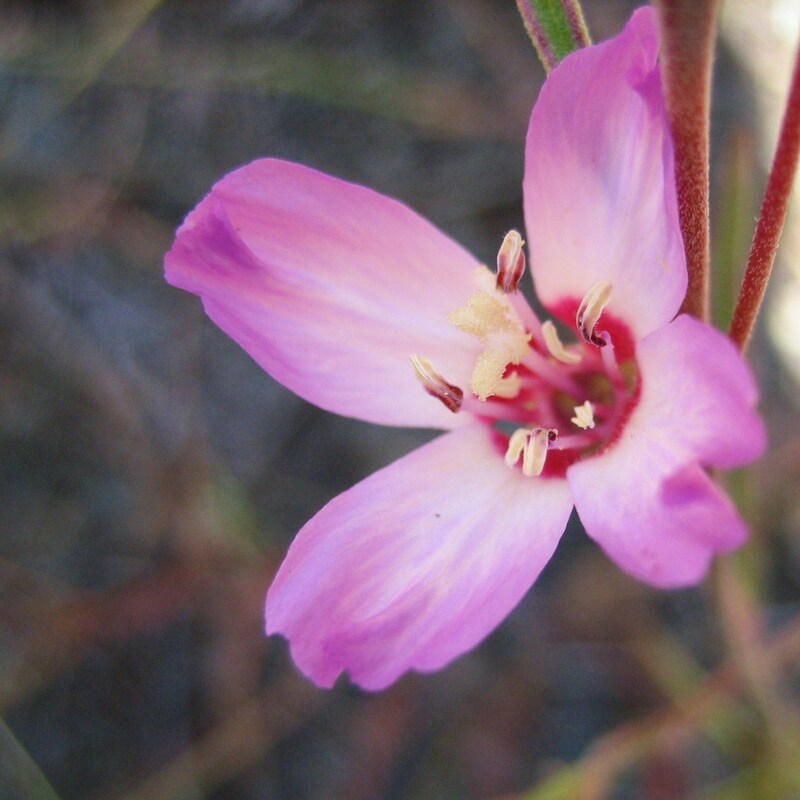 This site is home to one of the two largest populations of Presidio Clarkia (Clarkia franciscana). We’ve been working to learn how to best maintain the existing population and how we can use human stewardship to bolster resiliency of the site and its rare plants. 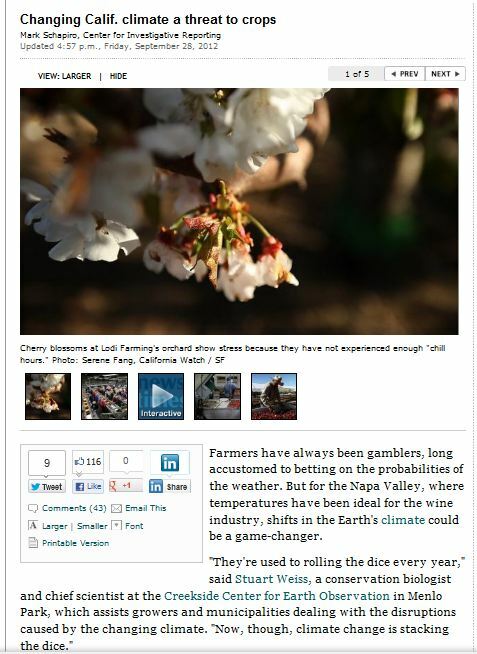 UPDATE 9/26/2014: Project highlighted in KQED Science Friday Blog. Here’s a quick synopsis of key topics we covered. Thanks to everyone who came out and learned and participated in this project! Sowing the last of the seeds onsite. Soil/Site preparation with superficial soil disturbance in targeted areas. A picture of the Prairie circa May, 1969. Lunchtime gathering overlooking the northern portion of the prairie. Hunting for Presidio Clarkia on the east slope. Dr. Weiss will also be on a panel discussing the Santa Clara Valley Habitat Conservation Plan on November 15th, 2012 at the Brower Center in Berkeley. 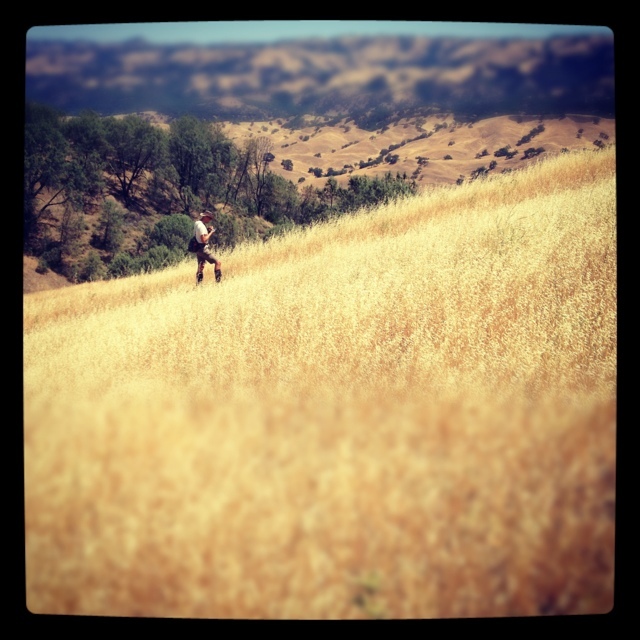 Reservations required through the Bay Area Open Space Council – this is a free event which is part of the BAOSC seasonal gathering. 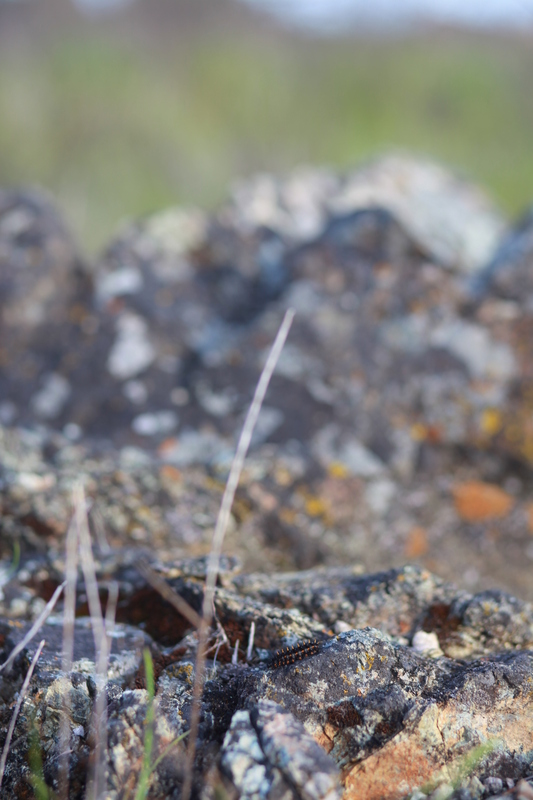 Creekside Science has been working with a host of partners to control and in some cases eradicate barbed goat grass from key habitat areas on Coyote Ridge. This grass has proven to effectively invade and dominate serpentine soils presenting a notable impact to Bay Checkerspot habitat. Here is our team at work near a main access road (dispersal vector) at Coyote Ridge. 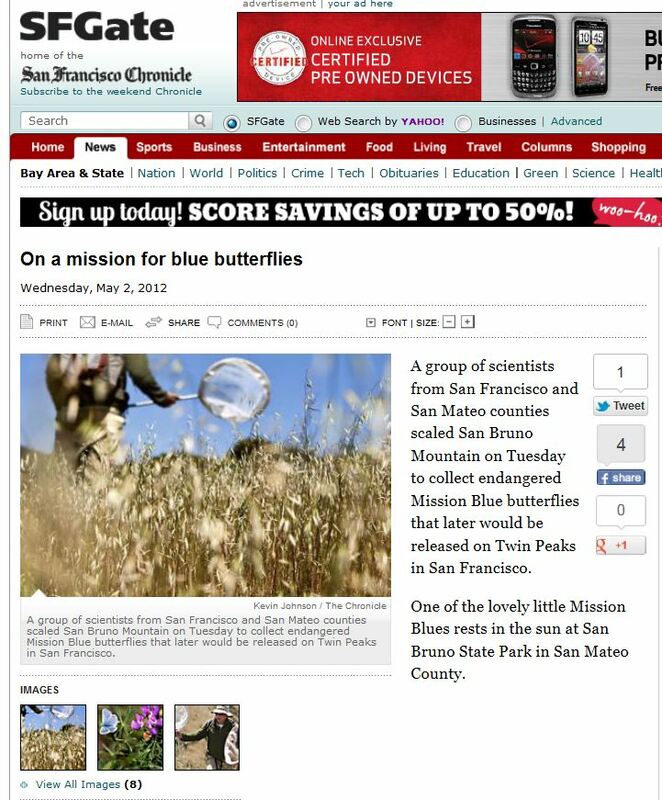 Creekside Science has been coordinating with the San Francisco Parks Department, Liam O’Brien, and US Fish and Wildlife Service on an important reintroduction project that moves Mission blue butterflies from San Bruno Mountain to Twin Peaks. 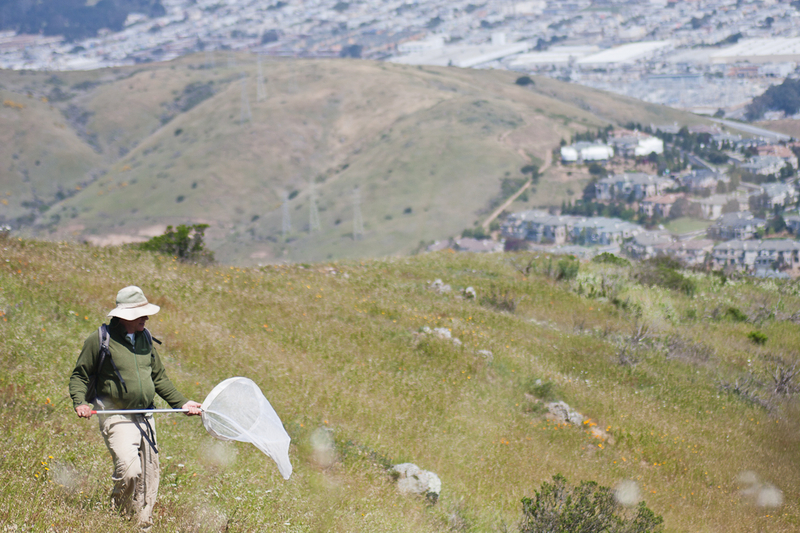 The goal of this project is to bolster the existing population at Twin Peaks by adding adult females and males in hopes that they will lay eggs locally. Here’s some news coverage from Channel 5 and the SF Chronicle regarding this project. 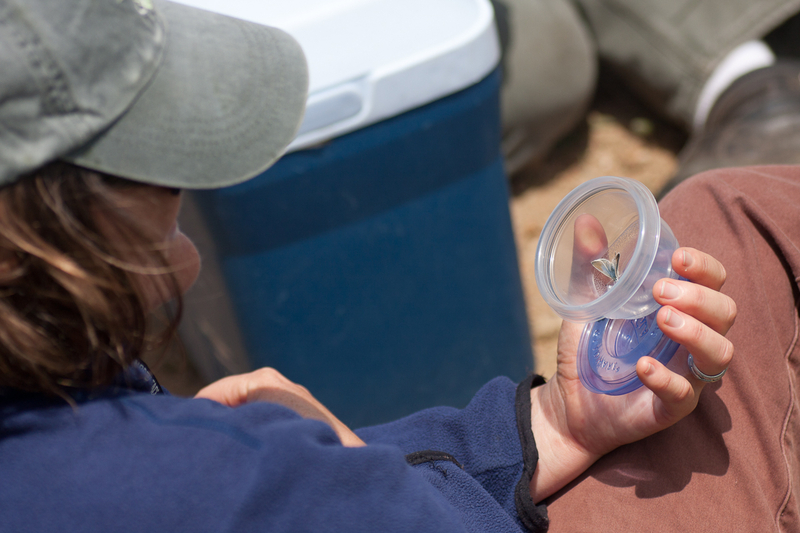 Dr. Weiss delicately handling the female noting the unusual coloring on this female. 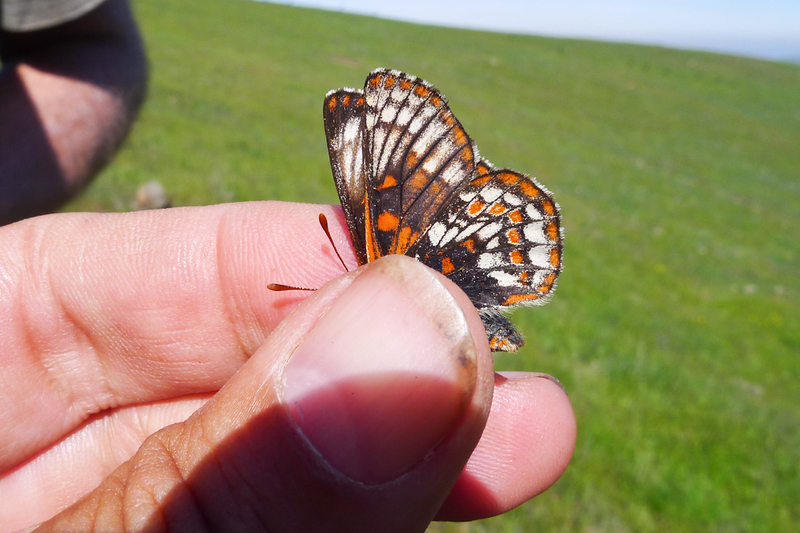 Creekside biologists were enthused to find a female Bay Checkerspot adult on Tulare Hill today. The siting of this female brings hope that critical habitat for this rare butterfly still exists and that the population is still holding on, if not barely, at this location. 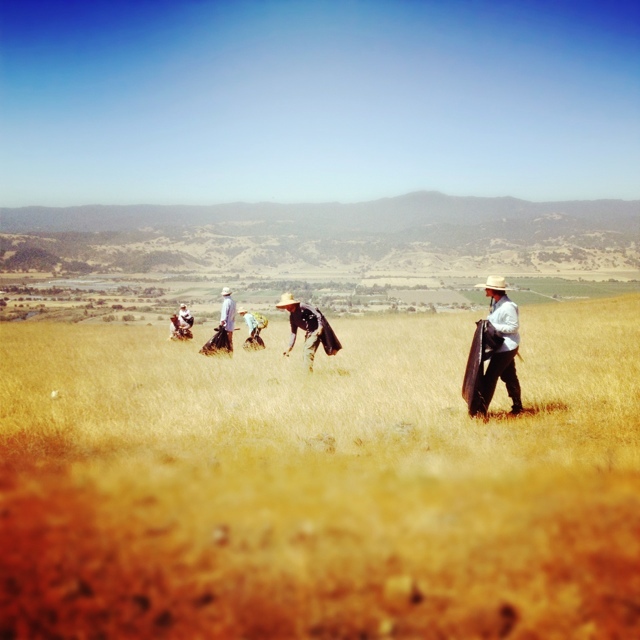 Tulare Hill has undergone some significant habitat improvements through well executed stewardship. The site shows great potential for serving as a protected refugia for Bay Checkerspots as well as other South Bay serpentine endemics. 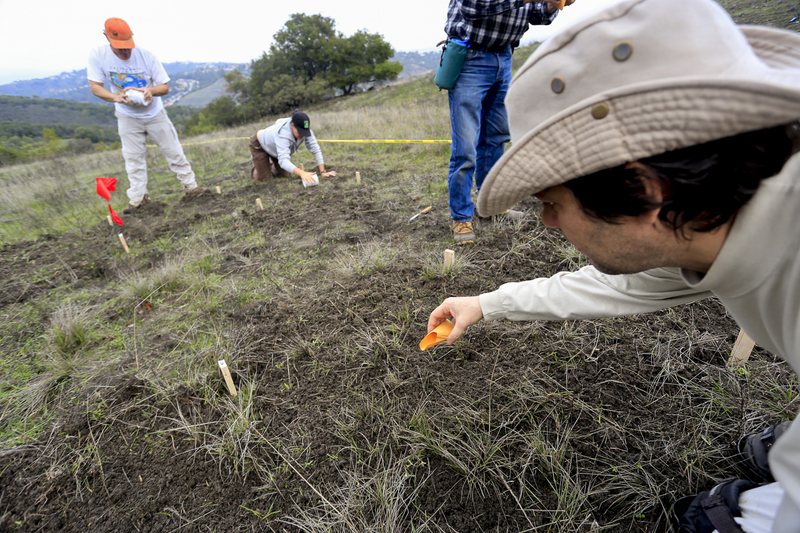 On Tuesday, Feb 21, 2012, Creekside staff transferred 2,762 larvae as part of an ongoing reintroduction of threatened checkerspot butterflies to Edgewood Natural Preserve, located in San Mateo County. Can you locate the Checkerspot larva (caterpillar) in this photo?